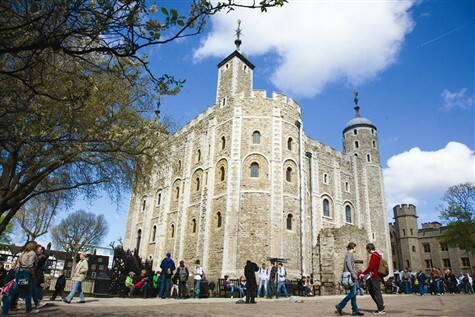 The Tower of London is one of Londons most iconic landmarks and steeped in history. Discover its 900 year history as a royal palace and fortress, prison and place of execution, mint, arsenal, menagerie and jewel house. It has been the seat of British government and the living quarters of monarchs, the site of renowned political intrigue and the repository of the Crown Jewels. It has housed lions, bears and (to this day) flightless ravens, not to mention notorious traitors, lords and ministers, clergymen and knights. Highlights include the magnificent world famous collection of 23578 gemstones, still used in royal ceremonies today, kept under armed guard in the Jewel House, the White Tower, built by William the Conqueror, which houses displays from the Royal Armouries, live costumed re-enactments, and see instruments of torture in the Lower Wakefield Tower.